If you love Kit Kat chocolate wafers and would love to take the challenge to try different kinds of special flavours which you won't be able to find in other countries except in Japan. There are variety special flavours such as Purple Potato, Cinnamon Cookie, European Cheese, Bean Cake and Wasabi, as well as three special varieties created by Japanese chocolatier Yasumasa Takagi: Sublime Bitter, Special Sakura Green Tea and Special Chilli. When you travel to Tokyo, Japan, you shouldn't miss visiting the world's first Kit-Kat boutique at Seibu Ikebukurohonten. There are more choices of unique flavours of Kit Kat chocolate wafers to buy for yourself or souvenirs. 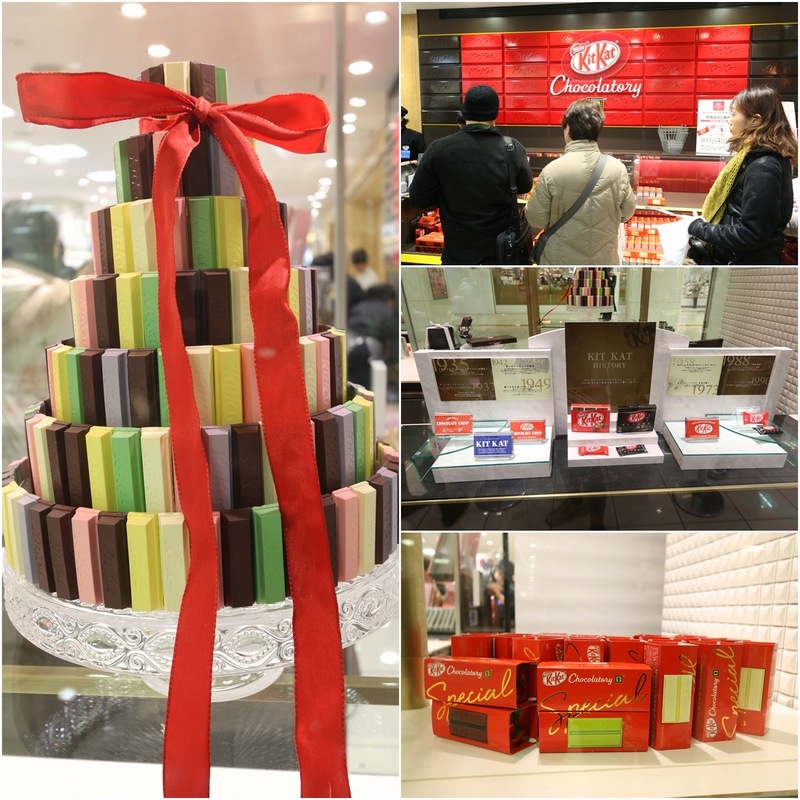 Kit Kat Chocolatory Store is located on the basement floor of Seibu Department Store in Ikebukuro, Tokyo, Japan.